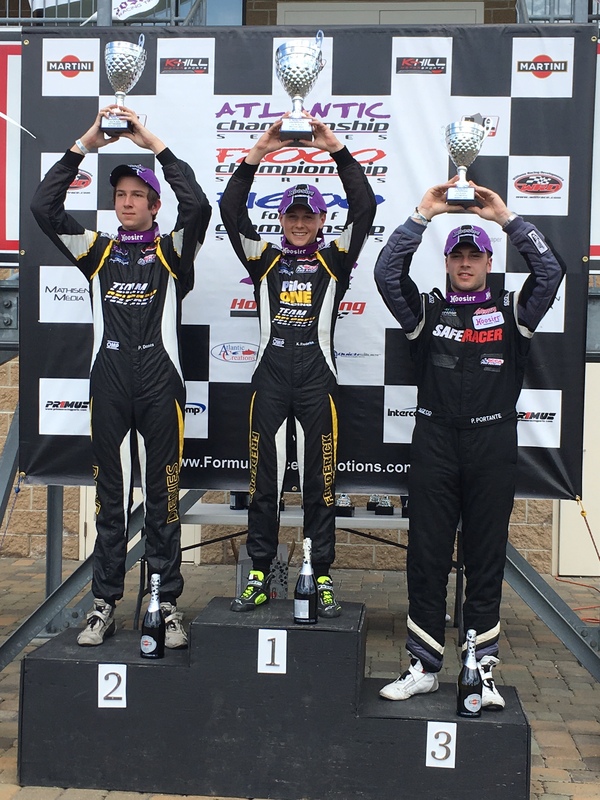 14 year old K-Rex Frederick, in only his third professional race event had a weekend to remember at Pittsburgh International Race Complex as he won his first professional race of what looks destined to be a very successful career. Saturday saw K-Rex put in a strong qualifying effort, qualifying 3rd for Race 1. His run for a top flying lap in the closing minutes of the session was aborted as another driver interrupted the lap, however 3rd place was an optimal position to begin the F1600 race. Into Race 1 and K-Rex made an excellent start, immediately challenging at the front. In the early part of the race, not for the first time this season, K-Rex found himself leading the race with a three way battle for first with team mate Calvin Ming and the K-Hill’s Neil Verhagen. By the last lap K-Rex was sitting second and applying significant pressure on the leader Verhagen. Coming round the last corner, he made a strong pass on the outside and came briefly into the lead onto the front straight. In the closing seconds of the race however a side draft allowed Verhagen to move forward and recapture first position with a lead of only 0.002 seconds across the finish line. Race 2 saw K-Rex again start in 5th and again make an impressive start, working his way up into the lead. Unfortunately a small error caused him to run off the track and fall back into the midfield. Once again, showing blistering pace, K-Rex fought back and caught the leading pack but ran out of time to move through them, eventually finishing 5th. The final Race 3 of the weekend saw K-Rex starting 4th and immediately go hunting. Taking the lead early on, he was not it lose it again and stormed to victory, his maiden win as a professional driver, by 1.8 seconds. “I am thrilled to get my first win. The whole weekend went well for me, I had great pace in the car and had it not been for a mistake in race 2, I’d have finished the weekend with three podiums. 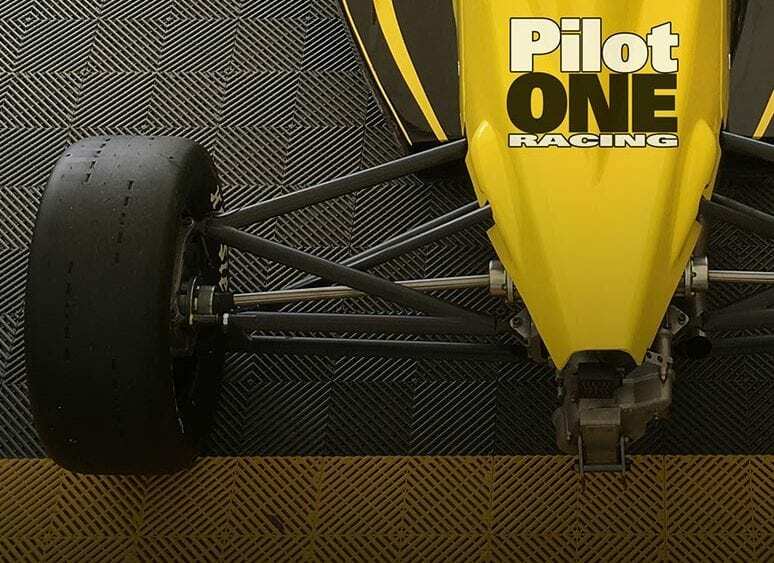 I’m thankful to Team Pelfrey for the strong car and setup they provided me, and to Pilot ONE racing for their continued support of this race campaign. I hope this is just the first of many victories in my race career”. 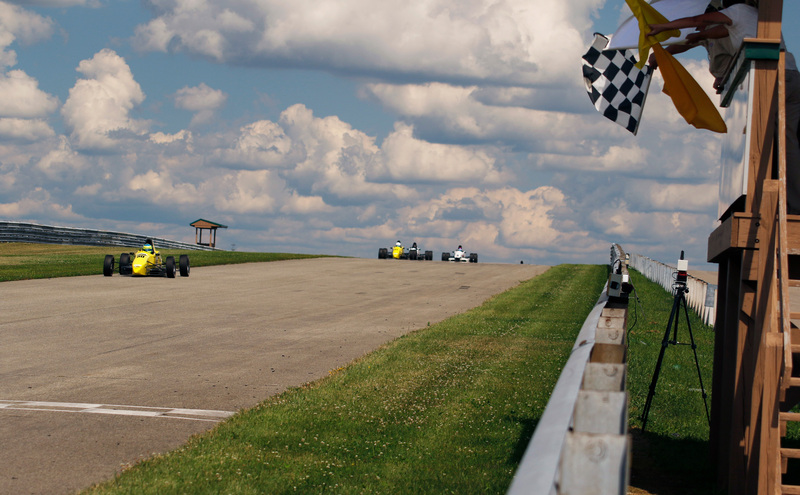 The F1600 championship now moves onto the New Jersey Motorsport Park on August 26-28.